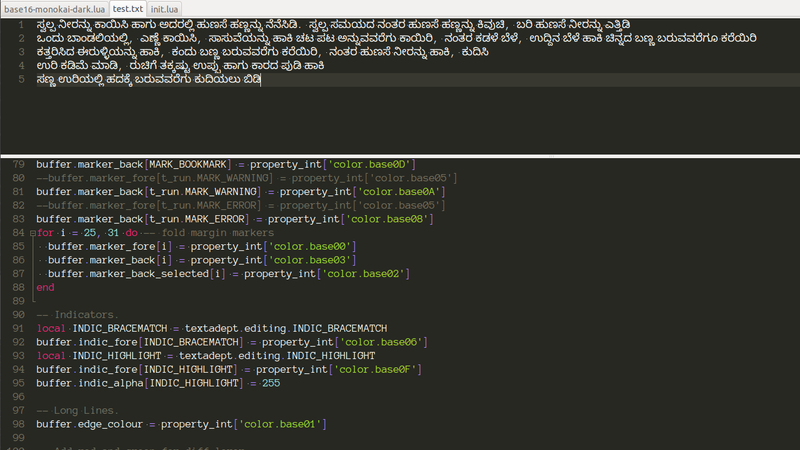 I love Sublime Text and Mercurial. All most all my projects use these two tools. Clearly I need a tighter integration between these two. 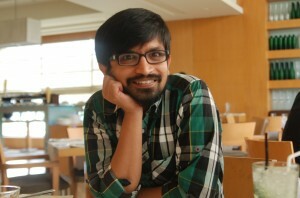 Sublime Texts provides Python based plugin API architecture. Its quite easy to follow and write a plugin. 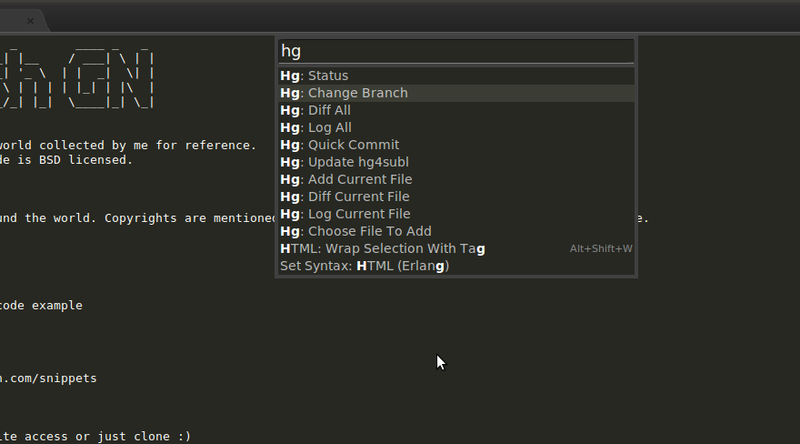 So I took sublime-text-2-git and modified it to work with Mercurial. I have added a few extra features and intend to develop in future. 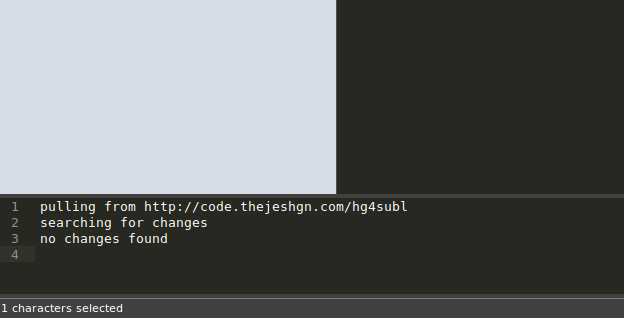 Now I can work with my repository from inside Sublime Text. Now your tools menu should have Hg and related menus. Some of the menu’s are enabled only when you are inside a repo work folder. I have tested it only on Linux. If you are a windows user, let me know how it goes. 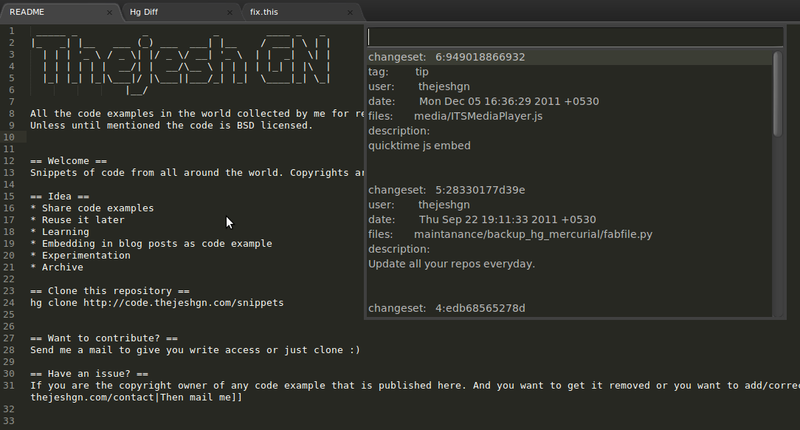 You can also use Ctrl+Shift+P to quickly access the commands. You can fork the project on bitbucket-hg4subl and send me pull requests if you have any. it is every useful to my work.but have a little question. how to input the password? the response is [abort: http authorization required]. so i think it is some file can set the default password or some space i can in put my password. but i can’t find it. thanks for the answer . i use ssh, it every fast update in bitbucket website.